The benefits of Rooibos tea are abundant. It is originated from South Africa, therefore it is called "南非茶" in Chinese. This tea is introduced by a friend to my better half a few weeks ago. I have seen it in the Cosway catalogue many years ago, to discover its goodness, we bought a box to try. The taste is just like Chinese tea, it is completely caffeine free, rich in minerals, contains high in antioxidant, improve blood circulations and many other health benefits. Suitable for young & old. 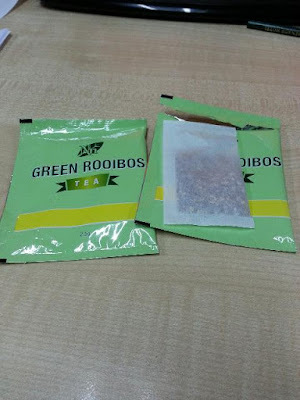 We can read a lot of articles on rooibos tea on the websites. we chose the organic green Rooibos tea. 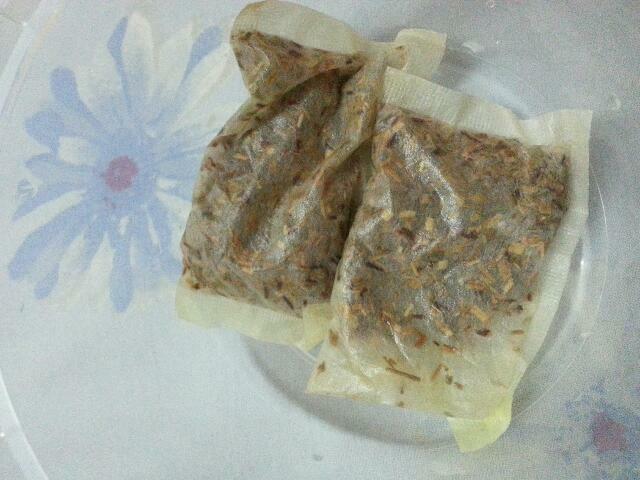 My better half will keep the tea bags in the fridge each time he finishes drinking the tea. He said it is good for soothing the eyes, don't waste the tea bags. I used to be Cosway stokist few years ago. 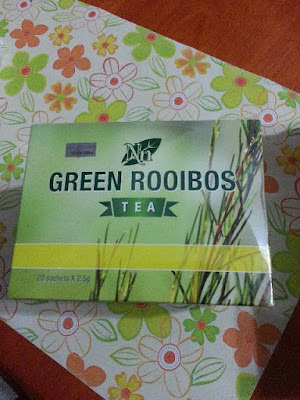 And quite many looked for Rooibos tea then. 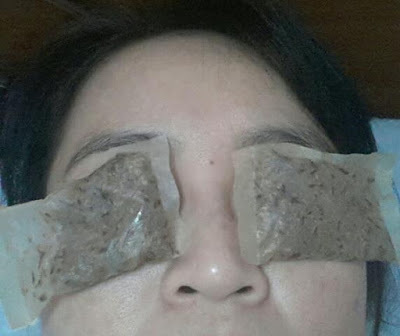 Good way to use the tea bag as eye mask.